Reacting to the contentions made by a criminal lawyer practicing in the Supreme Court who had confronted the media by stating that the principle enunciated in the 'tandoor' case judgment should be applied to petitions by condemned prisoners, a Supreme Court bench of Chief Justice P Sathasivam and Justices Ranjan Gogoi and S K Singh said its recent judgment in the 'tandoor' murder case commuting Sushil Sharma's death penalty to life sentence had no application to petitions by 15 condemned prisoners, who have sought commutation of capital punishment alleging long delay in disposal of their mercy pleas. While commuting death sentence of former Youth Congress leader Sushil Sharma to life imprisonment and clarifying that life term would mean imprisonment for life in the 1995 Naina Sahni murder case, popularly known as the 'tandoor' case, a three-judge bench comprising Chief Justice P Sathasivam, Justices Ranjana P Desai and Ranjan Gogoi held that, “the murder was an outcome of an estranged personal relationship and Sharma's chances of reformation could not be completely ruled out. The brutality of the murder or the subsequent attempt to destroy the evidence would alone be not sufficient to uphold death sentence for Sharma and that he could still be reformed and rehabilitated. It was difficult to say that the appellant (Sharma) was remorseless after the murder”. The bench cleared the contentions of Senior Advocate Colin Gonsalves by further adding that "Tandoor” murder case was about amount of sentence. But in these 15 cases, that chapter is over. This is only about delay in disposal of mercy pleas and whether that is adequate ground to commute the death penalty to life imprisonment and not about sentencing. However, the judges made their point clear by saying that if the delay as pointed out by the petitioner for consideration of the mercy pleas were true, it would be hard for the government to justify it. 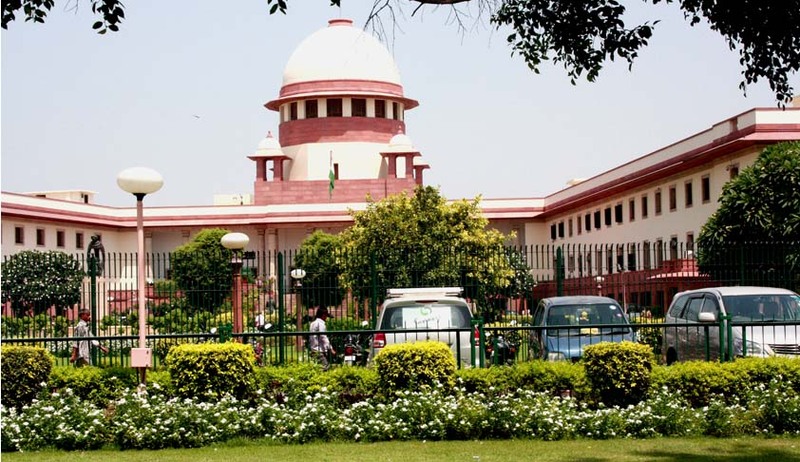 The state governments were asked by the apex court to enlighten it on three questions, viz., when was the mercy petition filed; when was it rejected; and whether the condemned prisoners and their relatives were informed about the decision of rejecting it. Gonsalves who appeared in the lead case wherein a petition was filed by condemned prisoners Suresh and Ramji who were awarded death penalty for murdering their five brothers, said the condemned prisoners had to go through additional harassment waiting for years, sometimes more than a decade, in solitary cells for their mercy petitions sent to the President and governors to be decided as governments were unresponsive to the difficulties of the sentenced prisoners. Gonsalves pointed out the deficiencies in the procedure for dealing with mercy petitions of condemned prisoners as there were no guidelines on informing relatives about the death warrants. He stated that no proper reply is received to the telegram sent by jail superintendents to the authorities reminding them about the pendency of mercy pleas filed by condemned prisoners and asking whether the date of their execution should be deferred. According to Gonsalves by not informing the condemned prisoner about the rejection of the mercy petition, the government was playing with an important right of the prisoner as the Supreme Court has laid in several judgments that if there is an unnecessary delay in disposal of mercy pleas, the sentenced prisoner can seek commutation of death penalty to life imprisonment on this important ground. Stating that there were certain incorrect pleadings in the petitions, Additional solicitor general Sidharth Luthra said a procedure has to be followed for consideration of mercy pleas, to which the bench told him he would be heard later.